The Blue Carbon Lab is delighted to announce the successful funding of its project “Victorian Coastal Wetland Restoration” by the Biodiversity Response Planning (BRP) of the Department of Environment, Land and Planing of Victoria (DELWP). The Wetland Restoration project aims to rehabilitate more than 100 ha of our coastal zones, while developing and testing key conservation strategies. It will be delivered over the next 3 years and bring together more than 10 Academic Institutions, NGOS, Catchment Authorities, Government agencies, and Traditional Owners (see list below). Victoria’s new Climate Change Act 2017 and the proposed Marine and Coastal Bill 2017 offer significant opportunities to develop systems to improve the management and protection of Victoria’s coastal and marine areas, of which coastal wetlands represent a critical but degraded asset. Develop and test a wetland restoration and conservation strategy that will provide critical information on the ‘where’ and ‘how’ components of coastal wetland restoration. 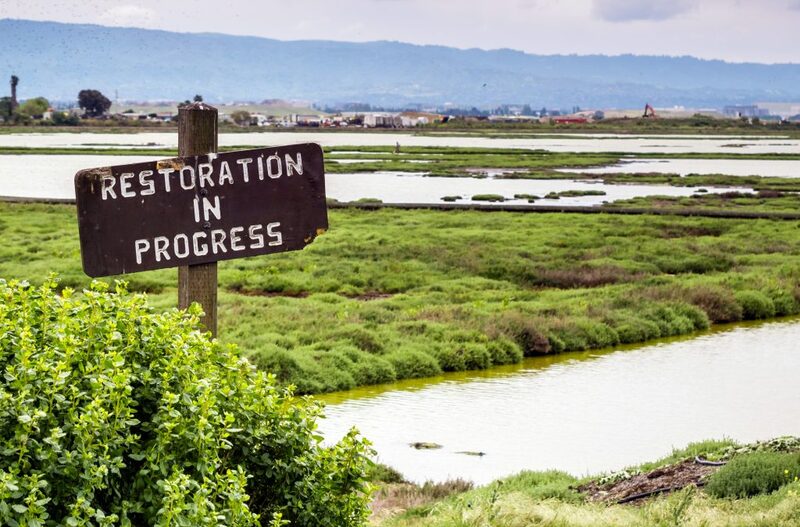 Undertake on-ground restoration within 3 regions along Victoria’s coast (State seats: Bellarine, Gippsland South, and Werribee), to repair of 100 hectares of threatened saltmarsh and wetland habitat. This program will enable Victorians the opportunity to strategically invest in the health of our coast with respect to biodiversity enhancement, coastal and shoreline protection, marine life and fish habitat, and carbon sequestration – all of which are critical to our health, prosperity, and very existence.